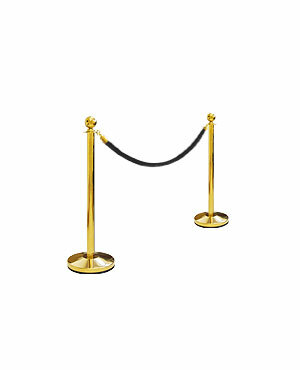 These black velvet ropes are a high end way to organise lines and queues or section off areas of your premises. They are commonly used by car dealerships, restaurants, theatres and cinemas. From our Q-line barrier post range, this rope measures at 2 metres in length, allowing poles to be placed up to 1.8 metres apart. 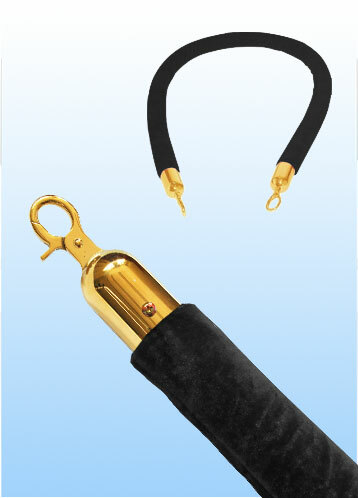 The velvet rope is manufactured with a black velvet covered plush core and features gold hooks on each end of the rope. 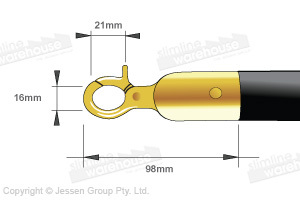 We package the stanchion ropes individually to minimise any chance of damage during shipment and they are shipped to anywhere in Australia. If you need posts or stanchions to go with this rope, you may want to view all the products in our Retractable Barrier and Rope Barrier range.